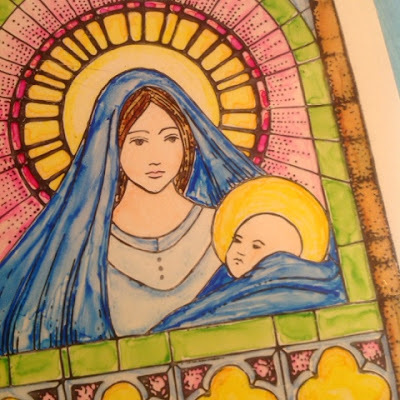 The Stampinback card challenge is asking for stained glass projects. It can obviously mean lots of things, I decided to use a Christmas stamp from Chocolate Baroque, because it is a glass painting in itself. To do two challenges at once, I chose to use the pastels from the ongoing CB colour challenge. Thank you for sharing this wonderful card with us at the Stampinback Card Challenge!! Beautiful card Kristiina. Thank you for playing along with the Chocolate Baroque Color Challenge. 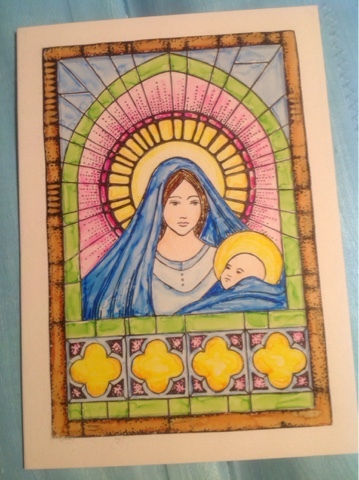 Lovely stained glass effect card. Thank you for entering the Chocolate Baroque Challenge x.